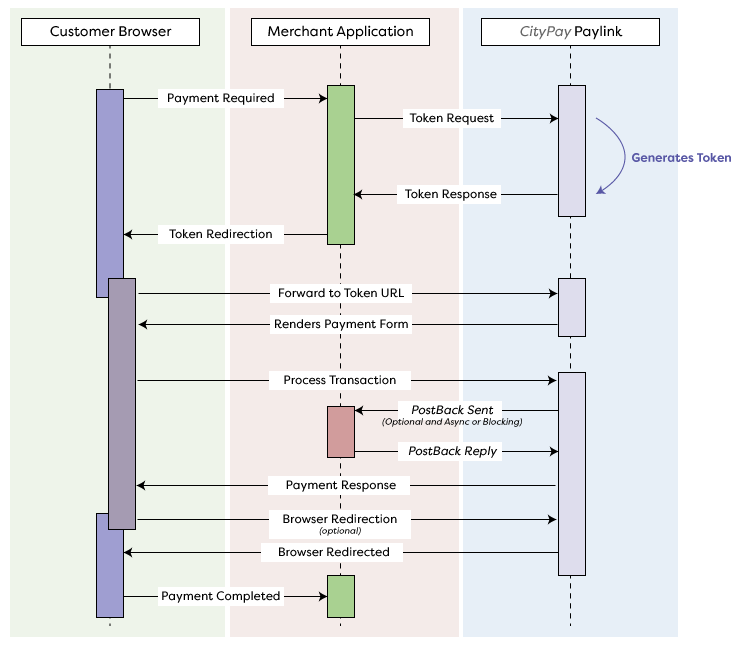 Payment processing is initiated by a request from the Merchant's Application servers to CityPay to generate a Paylink Token via an API call. Paylink generates a unique token which should be handled by your web application to forward the user to the Paylink Payment Form for completion . The shopper selects items they which they wish purchase from your online store. They then select that they wish to pay be card payment. 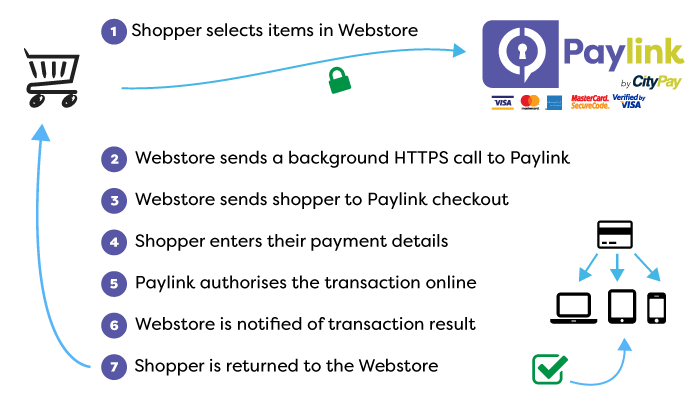 Your online store sends an API call to Paylink to generate a payment Token. The Paylink service is provided using a strongly encrypted TLS 1.2 channel for transmitting payment card data. Data is exchanged using XML, JSON or URL encoded form data. For Paylink 3, we recommend JSON. Whichever data type is used, Paylink generates its response using the same format used by the originating request. The Paylink API allows developers to integrate applications using a wide variety of languages that support established transport and application-layer protocols for data exchange. if an On Success URL or an On Failure URL exists, a redirection will occur after any delay, from the Customer's Browser. Should a Return Parameters Flag be set for the Transaction, the POST call will include the results of the transaction. if an On Success URL was not specified for the Transaction, the Payment Form displays a dialog stating that the Transaction was successful. The Customer is required to close the browser tab or window.